The Darwin Games are over. The battle for survival has just begun… The Lovecraft family is in ruins. Their convict father, Jonah, roams The Barrens, near starvation, in search of his daughter Ana. Only the hope of seeing her again keeps him alive. Meanwhile Ana, Liam, and Duncan have found temporary relief at a camp outside The Walls. Inside City 6, Jonah’s young son, Adam, has been co-opted by Jonah’s enemy, Chief Keller, and is being groomed as a City Watch spy. Between the terrifying zombies roaming The Barrens — monsters created by the plague that destroyed the Old Nation — and the ruthless, manipulative government that controls everything and everyone within the City Walls, no one is safe. 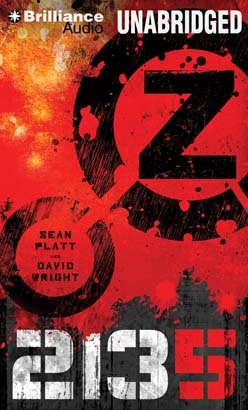 Z 2135 is both a frightening vision of a dystopian future and a heartening tale of family, hope, and humanity. The newest season from Sean Platt and David Wright is as captivating as it is terrifying.